We are situated in a prime location for touring, one mile South of Alnwick accessed from the A1 set amidst the beautiful Northumbrian countryside with wonderful views to the sea and surrounding area. We can even boast Dark Sky's - bring a telescope !! 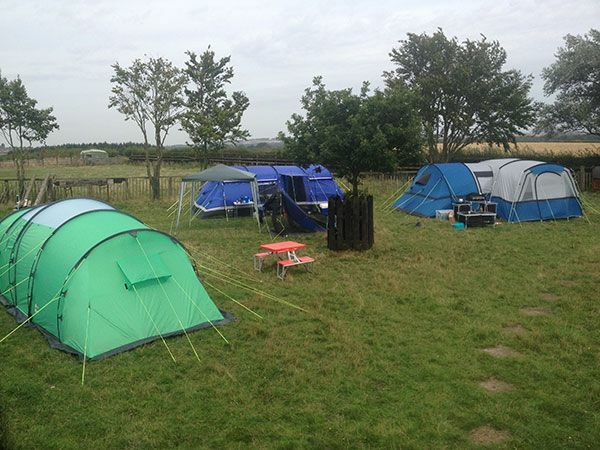 This unique development provides interesting rural accommodation for approximately 10 tents on a grass pitch, 4 mobile homes, 4 hard stand electric hook ups, and 6 Glamping cabins. Toilet and shower facilities, with washing up area. Children's play area, large grassed area for ball games, well behaved dogs welcome.Off road overnight parking for camper vans and caravans - 4 spaces. Wagons and horse boxes can also park off road. Prices do not include bedding, towels or breakfast, these are all optional extras if required. Our unique Glamping wagons are based on early 20th Century travelling workers homes, are all well spaced apart in a large grassed area. They have electric sockets, lightning, background heating and are fully insulated. 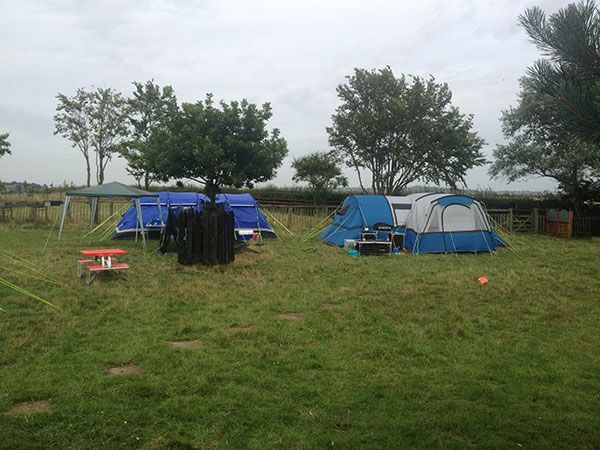 Outside there is lots of space for fun, barbecues and camp fires, even chickens, hens and a cockerel, lambs in the Spring. 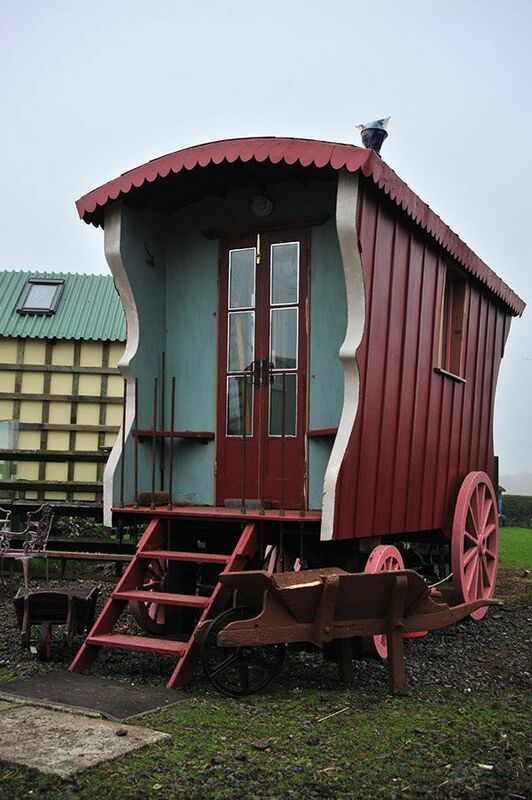 Ruby's Wagon is a traditional horse drawn living wagon, outside sheltered table and chairs. Sleeps 2 adults and 1 child. 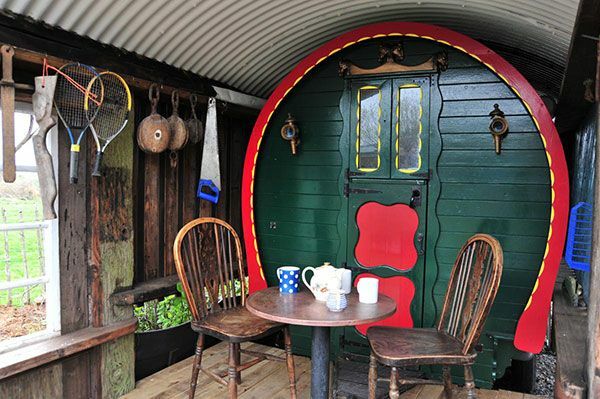 Gypsy Rose is a small canvas living wagon in open covered shelter, giving a sheltered terrace with chairs and a table. Sleeps 2 adults. 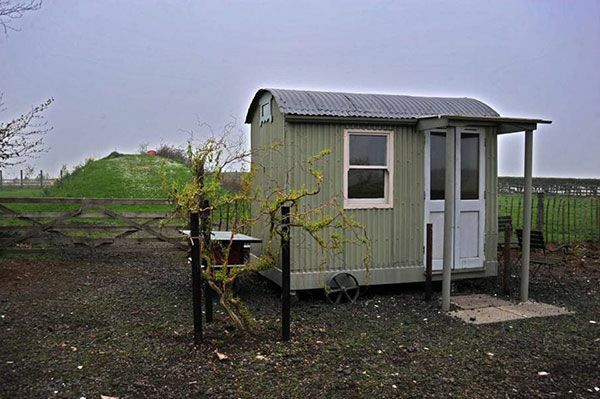 Shepherds Hut is a traditional corrugated iron lambing hut situated in a sunny position with outside table and chairs, sleeps 2 adults and 1 child. Loggers Wagon pulled out into the forest by two working horses. It has a large sheltered terrace with picnic table and chairs, sleeps 2 adults and 3 children under 14. The Pavilion developed from a Victorian timber framed " field shelter" it has a slate roof, stairs to the attic, wood burning stove, sea views and French doors to the private garden terrace. Sleeps 2 adults and 2 children upstairs.